PRODUCT DESCRIPTION: Easy to work with copper that should be used to seal cracks, gaps and voids which attract rodents, insects and other pests. 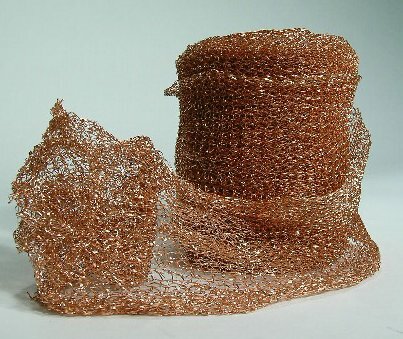 Copper wool doesn't rust or rot making it ideal for sealing structures to help them remain pest proof. HOW TO USE: First, find voids or gaps you need to seal. 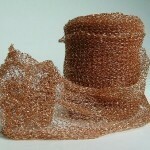 Next, cut the desired amount of copper wool from the roll by using any standard hardware scissors or metal cutters. Next, tuck the wool into the gap making sure it fits securely. Once in place, you may opt to secure it permanently using PUR BLACK FOAM or REPELLENT FOAM. These are professional grade gap fillers which will last many years and help by keeping out moisture, pests and other debris.